On 3 May 2000, a World Press Freedom Day Ceremony was held in Arlington, Virginia (near Washington, DC) to honor journalists that were killed in 1999 while covering the news. 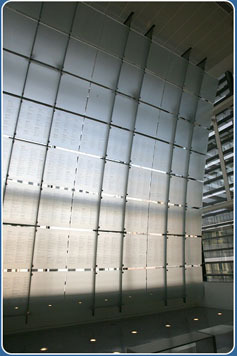 The names of 332 journalists who died on the job since 1812, including 40 journalists killed in 1999, were added to the Freedom Forum Journalists Memorial, a huge glass structure in the apex of Freedom Park (which has later been moved to the new location of the Newseum, an interactive museum of news in Washington, DC). Sander was one of them. "This wall is filled with the names of journalists who cared, and cared deeply, about their craft and their responsibilities. They felt journalism is something worth risking their life for," said Thomas Johnson, chairman and chief executive officer of CNN at the ceremony. "In an age of information overload, it is easy to forget that there are people still willing to die for journalism," said Peter S. Prichard, president of The Freedom Forum and Newseum. "The memorial reminds us what sacrifice journalists are willing to make for a free press."